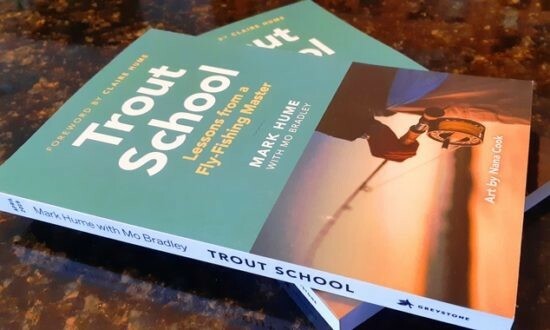 Trout School – Lessons from a Fly Fishing Master, is written by Mark Hume. In it Mark passes on what he’s learned from his countless hours on, and off, the water with the Mo Bradley. 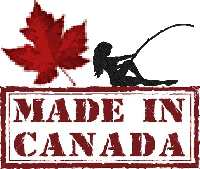 If you have done any digging around for information on fly fishing the Thompson-Okanagan region of British Columbia, you’ve most likely heard of Mo Bradley. If not, stay tuned. 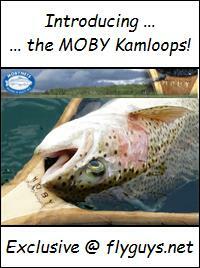 Mo Bradley is a local Kamloops fly fishing legend that played a HUGE role in spurring/shaping our fly fishing passion, and we were absolutely thrilled to receive a couple pre release copies of this book to review. When they arrived we shot out a post asking if anyone out there was interested in a copy to read and then contribute to the review. Greg Plummer quickly accepted noting that he had some history with Mo that he could share. At the time it seemed like a good idea. After receiving Greg’s summary it became clear that it was a great idea! There’s not a lot more to say. 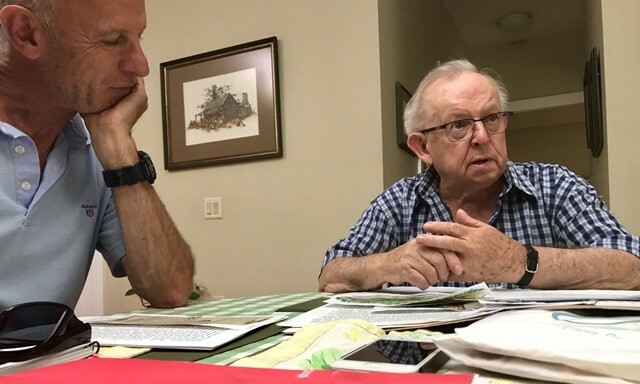 So thank you Mark for taking the time to document the history and methods of Mo the master fly fishing guru; thank you Greg for sharing a bit of your past and providing some real insight into Mo the man; and thank you Mo for introducing and nurturing the fly fishing passion in our little corner of the world. When I picked up Trout School and started to read it, I could not put it down and read it cover to cover! In the book Hume draws from his long relationship of fishing and friendship with Mo to detail his vast array of fly fishing knowledge, including tips and tricks for catching Kamloops trout year-round, detailed instructions for tying thirteen signature flies, and advice for a more respectful and ecologically conscious approach to fishing. But Trout School is more than just a fly fishing. It is also the tale of Mo Bradley, and Hume does a fine job of illustrating his life with personal stories of his time spent with the master. The resulting combination is both a thoughtful tribute to a fly-fishing legend and an invaluable resource for experienced anglers and novices alike. I grew up about 5 houses away from Mo and on the weekends and evenings I would see Mo getting his boat and gear ready, teaching someone how to fly cast in his front yard or laying out his catch on the lawn. I was an avid fisher yet I had not crossed over into the fly fishing world as my Dad only dabbled in it. When I saw the size of fish laid out on Mo’s front lawn I knew that I had to get into fly fishing and started hanging around and pestering Mo all the time, I was about 10 years old at the time. As a 10 year old going into fishing and hunting stores or talking to other anglers I typically got a rude welcoming and essentially no one had the time for a kid, not Mo though. Mo was eager to show me his catch, gear, talk about fly fishing and invited me over to his place to learn how to tie flies and the rest is history so to speak. 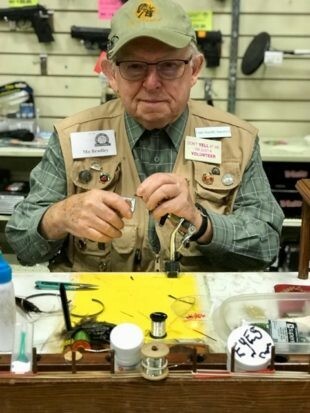 Mo had even convinced my Dad to learn how to tie flies and get into fly fishing, unfortunately I lost my Dad that year and if it wasn’t for Mo and him teaching me the world of Fly Fishing I would have got into a lot more trouble than I did growing up. It all started with Mo having me over once a week to tie flies in his fly tying room, and let me tell you, what a room it was, oodles of gear, enough fly tying materials to start his own store and two aquariums full of what I called “bugs” and then the entomology lessons began. “They are not mosquitos flying around, they are actually chironomids,” he said………….. ( I had no idea what those were, but I sure found out in a hurry). 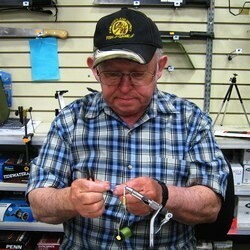 Mo even taught me how to build my first fly rod (30+ years ago), which I still have and use today (it has been rebuilt of course). Evelyn would always bring us down cookies, cake and other assorted treats. I could hardly wait for the fly tying nights with Mo and the treats J.
I could go on for days about what Mo taught me, but back to the book. What I particularly enjoyed about the book is how Mark captured who Mo really was; a teacher, a supporter, a mentor, a friend and a fly fishing guru who was at the leading edge of the sport in the BC interior at the time. 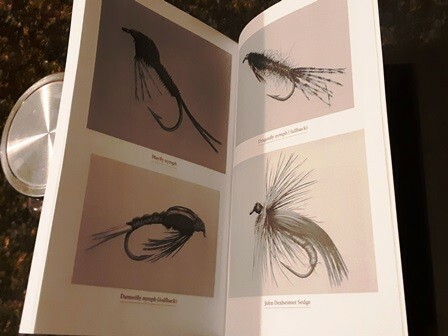 As the book indicates Mo has taught 100’s and 100’s, if not 1000’s of people the art of fly tying and fly fishing and he loved every minute of it. He was very passionate about his art and was more than willing and eager to share his knowledge with everyone, anywhere, anytime. How Mo taught people is what really stood out for me as he was not the type to step in and fix your mistakes he would coach and mentor you until you got it right and he would never let you fail or give up, and trust me, when it came to casting I tried to give up many times! I look at my fly box and I still have some of the original patterns I tied with Mo in there 30+ years ago, they are rusty now but still there and serve as a constant reminder of the time I shared with Mo and I still tie some of the same patterns now using the original materials such as phentex, ostrich herl, acetate floss and so on, why? Because they work and are still as productive today as they were then. 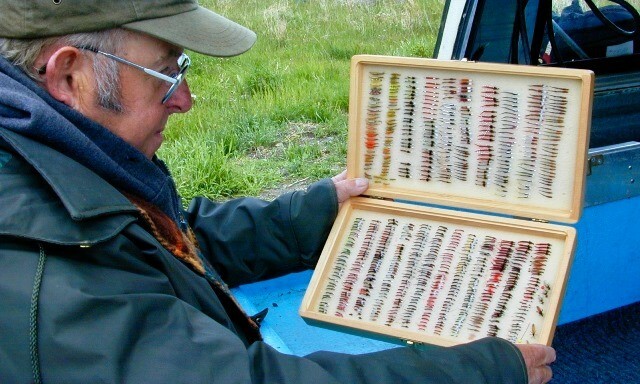 Mo would study the insects in his aquarium, not only to tie the perfect imitation but to study how they moved so he could retrieve one of his creations in a similar manner. 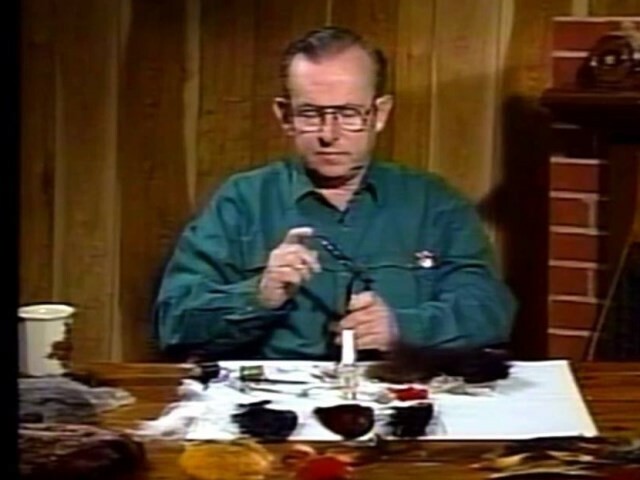 I remember tying bloodworms with Mo one evening and he would always tie in a bear hair tail, I asked why and he said “Because blood worms are always pooping, and the bear hair is the poop!” It still makes me laugh when I think about it, but that is how closely he studied insects and made him as successful as he was. As I read the book it answered a lot of questions for me as to “why do I do, what I do when I go fishing”, from putting weeds in my fly box, to scanning the boat launch and surrounding shoreline looking for signs of a recent hatch, to looking down into the water column and searching for moving insects, watching the birds and on and on….. I do it because that is what Mo taught me to do. Mo was extremely observant as to what was happening on a lake at any given time and that gave him the edge to be “The guy” that schooled people on the water time and time again. 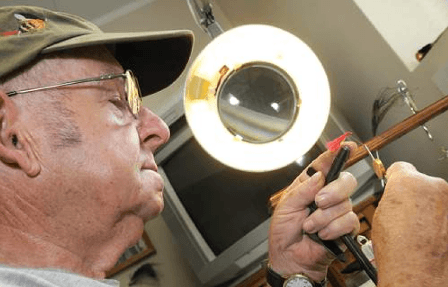 It is one thing to be able to tie the perfect fly or to be able to cast the perfect cast, but to be dialed in like he was, that was his art and what he shared with people time and time again. I only out fished Mo once, and trust me it was only luck that was on my side. I never fished in the same boat as Mo, he made me buy a boat off him, showed me how to rig it and sent me on my way, only providing guidance and advice from his boat (anchored nearby) as he netted fish after fish. I thought it was because he did not want a young punk in his boat but as I learned how to fish and become successful at it on my own I saw what made him tick, he had just taught someone how to fish and it made him smile. I could go on for days about this book and Mo but for anyone that knew or heard about him, watched his tying sessions on the local tv channel, are fly fishers or considering getting into fly fishing “Trout School” is a must read that truly captures the essence of not only Mo, but a piece fly fishing history in the Stillwater’s of BC’s interior, of which, Mo played a huge part of making it what it is today, a world renowned fishery. 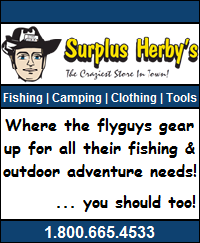 This entry was posted in Product Reviews, Still Water Fly Fishing and tagged Fly Fishing Kamloops, Mo Bradley, Trout School. Bookmark the permalink.